With just over 24 hours before the opening of the 2018 World Cup FIFA decided about the fate of the 2026 edition. As expected, the joint bid of Canada, Mexico and USA has won the hosting rights, having won two thirds of all possible voted (134 out of 200). The second bidder, Morocco, only received 65 votes, which means 1 delegate abstained. Selection means that the 2026 edition will officially become record-breaking for a number of reasons. First, it will be the first one to see 48 teams instead of 32. Second, it will also be the first one hosted by three countries. 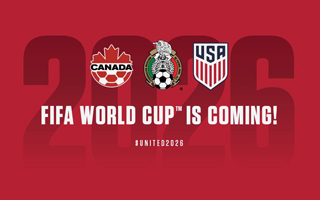 As agreed by all joint bidders, Canada and Mexico will get only 10 games each, while USA will host 60 remaining games. Interestingly, it's also the first World Cup since 1994, for which no new stadium is planned at all. While FIFA requires 16 host stadiums, more than any time before, the three countries submitted a truly stunning list of 23 candidate stadiums. Now it's up to FIFA to cut out the ones that seem least fitting. As of now, almost all crucial games are expected to be staged in the US, with notable exception of the opening match, expected to be hosted by Estado Azteca in Mexico City (though Rose Bowl is also up for this game). Semifinals would be held at either Mercedes-Benz Stadium (Atlanta), Levi's Stadium (San Francisco), FedEx Field (Landover / Washington D.C.), Gillette Stadium (Boston) or AT&T Stadium (Arlington). Also worth noting, most of the recent superstadiums aren't included. The list was too short for U.S. Bank Stadium in Minneapolis, the new Las Vegas stadium and Los Angeles NFL stadium as well. 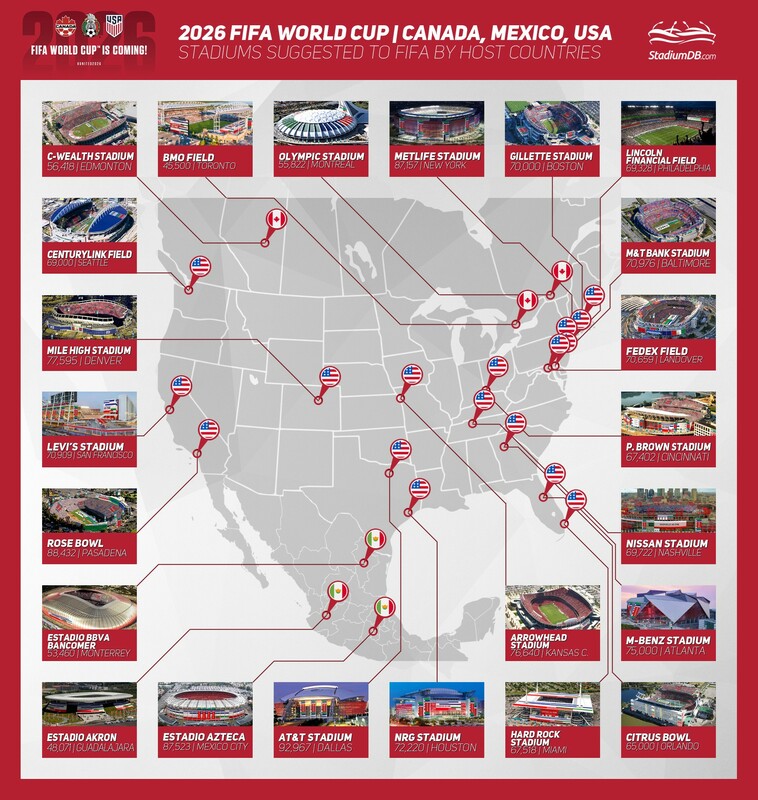 Bthe graphic below shows all candidate locations, while on the side bar you can see all stadiums pre-selected by the national football associations.